UPDATED: You can now donate until Friday, December 2nd!! The Willamette Center is a newly opened shelter for 120 women and their partners. 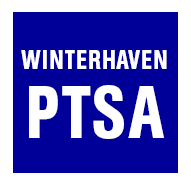 This shelter is located very close to Winterhaven, and is the only shelter in this area. There will be a collection bin and sign in the front hallway of the school starting this Friday. We will be receiving items from this Friday until Friday, December 2nd. This is a short amount of time, so please donate soon. If you have any questions, please do not reply all to this message. Send me an individual message to amyleelacks@gmail.com. Thank you so much for your support of this deserving cause! Also please stay tuned for our annual holiday food drive coming soon.